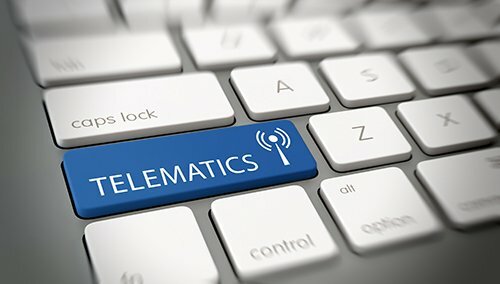 Telematics, a communication technology for the automobile industry, represents the convergence of the two fields TELEcommunications + inforMATICS. The Telematics Technology integrates the information flowing to and from the vehicles through wireless networks to provide smart automation and to enhance the overall driving experience in the automotive industry. Telematics enhances the driver’s and traveler’s experience by efficient management of information andit enables to provide more safety and security, improved navigation and more personalized traveling experience. The potential of telematics solution is huge, and it is in the stage of evolution now. In the next few years, we can expect cars which track your fuel usage, driving style, vehicle condition, traffic, insurance details and so on,usinga telematics device fitted to thedash board of your vehicle. Welcome to the world of digital telematics. From its inception around 15 years ago, Telematics has predominantly seen as a tool for tracking the vehicles. However, with advancements in technology, telematics now plays a key role in Fleet management.Under the umbrella of Telematics, is the integration of GPS technology and smart phones and computing devices. Fleetmatics is now a critical component in commercial logistics as it addresses some of the major challenges associated with security and safety, regulatory compliance, insurance, infrastructure and driver monitoring in the automobile industry. The GPS enabled FleetTelematics solutions enable intelligent travel which enhances all forms of transportation and travelers will be able to remain seamlessly connected across every means of travel. For e.g. If you implement a telematics or Fleetmatics solution in your vehicle, it will be equipped with a processor which performs many tasks simultaneously. as the solution can improve your navigation, communication and passenger entertainment; all while enabling safer and more efficient overall travelling experience. 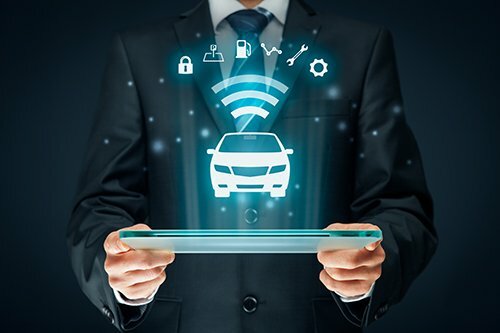 Your car will be able to connect to a variety of wireless networks, to the internet, to intelligent traffic systems and even to other vehicles. 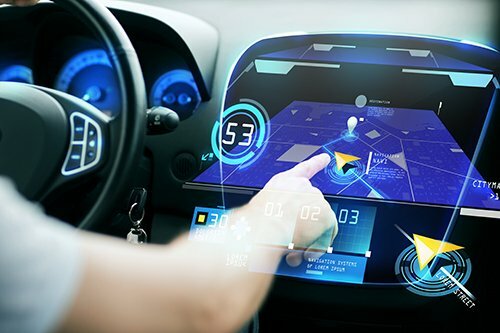 Essentially, your smart car or connected car becomes just another extension of your digital lifestyle. Imagine downloading music, movies and T.V shows from the cloud, right from your dashboard. Want directions? Just ask! You’ll get complete routing information with rich visual maps and satellite imagery and your passengers can even mark points of interests to make stops along the way. When your fuel level or battery power stars to get low your vehicle will automatically search for fuel or recharging stations providing directions for those with the lowest price. Sensors inside your vehicle will also improve safety. Inside cameras can recognize drivers and passengers and suggest seating, navigation and customized entertainment options for the travellers based on their preferences. The external sensors will detect lane departures, and helps the driver in getting prepared to respond to potential dangers if any. For example: If the vehicle is not slowing down for an upcoming ‘stop’ sign and will continually identify objects in front, beside or behind your vehicle to avoid collisions, assistant parking or allow your cruise control to adapt speed to maintain a safe distance from the car in front of you. With connected intelligence, the existing and emerging wireless standards will enable vehicles and devices across the transportation infrastructure to communicate with each other enabling automated, intelligent and real-time decisions to optimize travel. For e.g. strategically placed safety cameras can identify congestion on roads or accidents; it can also automatically alert the emergency personnel as well as suggest rerouting of traffic by notifying approaching vehicles and updating nearby digital roadside signs. Intelligent traffic lights will become more prevalent and smarter than today. This will help in detecting real-time traffic flow from each direction and in automatically changing signals to improve the traffic flow. Distributed intelligence that is secure and reliable is the key to transform the entire infrastructure from being passive and unaware to a proactive, intelligent, connected, sense & respond system. This will help in improving travel in every way and building that infrastructure on existing pervasive standards based architecture is paramount to making this transportation vision into a reality. With an intuitive M2M//IoT platform, Happiest Minds delivers smart, secure and connected, Telematics solutions for our customers. Our Smart Transportation solution covers Fleet Management, Logistics support and Telematics solution implementation for our customers. The M2M Telematics Product Development and Implementation we did for a leading technology company has enabled them in enhancing solutions including Geo -fencing, Low Power Re-engineering and upgradation of the market position of the product. The solution also enabled in the implementation of a cloud based tracking platform with the improvement of various features including enriched look & feel and usability of the product. Read the M2M Telematics Solution case study.